Nationally Recognized as the Provider of Driver Helpful® DOT Physical Exams! Your $100 CDL Physical includes an automated urinalysis using a Siemens Clinitek Analyzer and a print out from a vital signs monitor that provides Systolic, Diastolic and MAP, along with SPO2. And getting an appointment is easy, just give us a call, or use the link above to see available appointments and schedule online! Our clinic is conveniently located on 3190 State Street in Medford, OR , in the heart of south Medford’s major medical centers with ample parking for commercial trucks along State St. or Golf View Drive. What is a Driver Helpful DOT Physical? Helping drivers and motor carriers is what we do. Drivers with certain medical conditions need a medical examiner who not only knows the medical requirements, but who is interested in helping the driver maintain their livelihood. At the same time, our driving status determination provides the safety aspects that motor carriers expect and require. Need your CDL Physical Exam Today? We know your time is valuable! Same Day Appointments! No Waiting! We are committed to getting you back on the road in no time. Chiropractic Physicians Group is a full-service, general-scope chiropractic health clinic providing physical exams, chiropractic treatments, massage, and medical facial aesthetics. Pass Your CDL Physical Exam! Dr. Gumaer knows how important it is that you continue your livelihood as a commercial driver. With his extensive knowledge of the DOT Physical Exam medical guidelines, Dr. Gumaer will steer you through the DOT Physical Exam requirements so you can Keep on Truckin’. Whether you are just traveling thru Medford, OR or one of our local drivers, we are here for you! Download the Free TeamCME Mobile Driver App! Find a TeamCME office and contact us with a touch of your fingertip. Get Expiration Alerts for FREE! Save your expiration date on the Free TeamCME Driver Mobile App and you’ll get “Expiration Alert” notifications and emails sent to your phone starting 2 months before your current certificate expires. Looking for a DOT Physical Exam or CDL Physical Exam in Medford, OR? You’ve come to the right place! Want to save time? Download the DOT Physical Exam report form by clicking the link below. Filling out the form before your appointment will help us get your DOT Physical Exam completed quickly. From I-5 North, take Exit 27; Turn Right on Highland Drive; At the light, turn Right on E. Barnett Rd. Follow E. Barnett Rd. 1 mile; Turn Right at the light on Golf View Dr. Follow Golf View Dr. approximately 1,000 feet to State Street on the right. 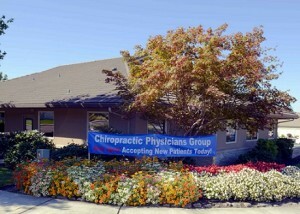 Chiropractic Physicians Group is on the corner of State and Golf View Drive. From I-5 South, take Exit 27; Turn Left on E. Barnett Rd. 1 mile; and follow above directions to Golf View Dr.
Dr. Glenn Gumaer, DC is a Certified Medical Examiner in the National Registry. 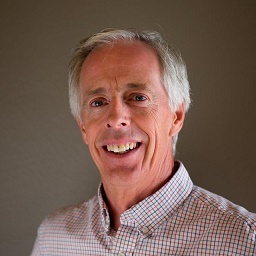 Dr. Glenn Gumaer, DC has been in private practice in Oregon for more than 20 years and has performed hundreds of DOT Physical Exams since opening his clinic in 1995.